Whether dealing with divorce, equitable distribution, custody, support, alimony, adoption or matters of abuse, the Law Offices of Rovner, Allen, Rovner, Zimmerman & Nash, the premier Philadelphia injury lawyer firm has a long history of providing caring, client-centered representation, focused on the understanding of the emotional difficulties these issues create. For almost 20 years, I have fought hard for my clients in all areas of family law with compassion and toughness, when necessary. It is my intention to resolve matters amicably, when possible, and to fight for my client whenever necessary. It is most important to me that my clients know they have an advocate who will always be available to listen. There is, in fact, a difference between family law and other areas of law; I deal directly with the complexities of dissolving relationships that may forever be entwined. It is important to me to help my client move through the process in a way that will allow healing and full understanding. On Oct. 4, 2016, Governor Tom Wolf approved important changes to the necessary grounds for divorce based on the length of separation. House Bill 380 passed the Senate on Sept. 26, 2016, and was approved by Gov. Wolf on Oct. 4 as Act 102, which would take effect 60 days thereafter. This legislation amends the divorce code to reduce the period of separation from two years to one for a divorce action based on an irretrievable breakdown (no-fault) of the marriage. This change in the law applies to periods of living separate and apart which begin after the effective date of the Act (Dec. 2016). It will not apply to currently pending divorce actions. This legislation was presented with the hope that reducing the length of time to establish grounds for a non-consensual no-fault divorce would reduce turmoil for children by having more timely economic decisions, which in turn implicates decisions which impact children, such as school placement and housing arrangements. By offering prompt access to the court process, the goal is for less conflict and reduced legal expenses. Robin Cohen Scolnick graduated with her bachelor’s degree from Rider University and earned her Juris Doctor degree from Widener School of Law. She practices in both Pennsylvania and New Jersey and has represented hundreds of clients in both jurisdictions. Ms. Scolnick is a Bucks County resident and has been for over 30 years. She has two sons who attended Lower Southampton Elementary, the George School, Solebury School, Purchase College, University of Illinois and New York University. Ms. Scolnick is a survivor of divorce raising her sons as a single parent. Her oldest son currently lives and teaches at Colombia and her younger son is a celebrated musician, Langhorne Slim. She is over-the-moon proud of them both! 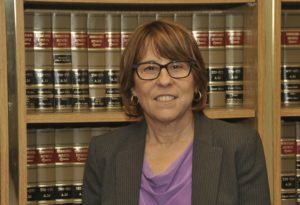 Should you have any questions regarding any area of family law, please contact Ms. Scolnick at 215-953-2722 or the Law Offices of Rovner, Allen, Rovner, Zimmerman & Nash at 215-259-5958 or online at www.dial-law.com. We offer free consultations for various aspects of law and are there for you whether you need a family attorney or a personal injury lawyer in Camden, Bucks County, Montgomery County or Philadelphia.